My daughter suffers from severe food allergies. Eating out has always been difficult. She went to culinary school and became a chef not only to make her own life easier but also to be able to help others with food allergies. She has a big passion for creating foods for children so that they don’t feel “left out” when it comes to eating out. My daughter will be one of the chefs demonstrating allergy food preparation at the convention in November. I am also pleased and honored to be one of the bloggers that will be supporting and reporting on the convention. Walt Disney World has always been a great vacation for our family because of the resorts commitment to helping food allergy sufferers. Each restaurant on property will make special arrangements for a guest with allergies. There is also an APP available to help food allergy sufferers while at Walt Disney World – Sarah Norris, one of the creators of the upcoming convention, has run a very informative website for a long time – Gluten Free & Dairy Free at WDW. This site was a wonderful asset for my family when we would travel to WDW. In early 2014, Sarah helped create an APP – YoDish. Shortly after the APPs release, my daughter and I traveled to WDW using YoDish to find the best spots for my daughter to eat along with reviews of the food. What a great APP. If you suffer from food allergies you should not travel without it! Read my previous posts about the APP: Gluten Free/Dairy Free Dining at WDW – Now There’s an APP for That! and a follow-up report after using the APP: Follow-Up – Outstanding Tool – Gluten Free/Dairy Free Dining at WDW – Now There’s an APP for That! Families and individuals in the special diets community are marking their calendars for the first Food Allergy & Celiac Convention, held at Coronado Springs Resort & Convention Center in Walt Disney World, Florida. Saturday, November 22, 2014 is slated to celebrate food allergies and celiac disease at one of the top food allergy and gluten free locations in the world. The vendor expo will also give guests a chance to see both new and emerging gluten free and food allergy companies and organizations. All vendors will have gluten free offerings and many will cover multiple special dietary needs, including the top 8 common allergens. Tables will be equipped with signs indicating each company’s allergen and cross-contamination procedure. The cost to attend the Food Allergy & Celiac Convention is $15 for adults and $5 for children ages 3-12. Advance ticket purchases are also available at a discounted rate. The ticket price includes the vendor expo, kids corner, various staged presentations, culinary demonstrations, speaking panels, and more. To purchase tickets or obtain additional information about the event, visit celebrateawareness.com. The Food Allergy and Celiac Convention is hosted by two individuals with extensive knowledge about celiac disease, gluten-free awareness, and food allergies: Laurie Sadowski (lauriesadowski.com) and Sarah Norris (glutenfreedairyfreewdw.com) are also experienced in dealing with food allergies at WDW, and have developed relationships with the Special Diets, chefs, and event planning teams there. Focused on building awareness on health and lifestyle, not just the food, but definitely the food–the convention is set to highlight awareness at the most magical place on earth! Food Allergy & Celiac Convention is not affiliated with the Walt Disney Company. 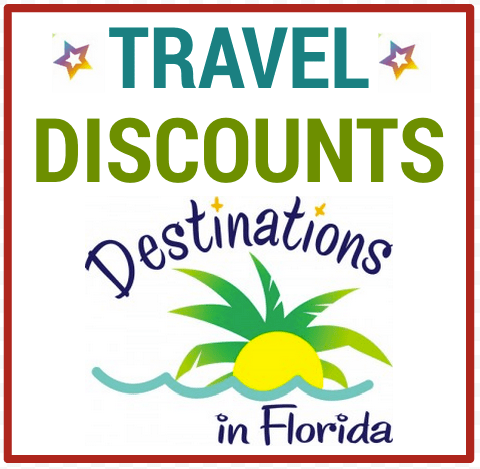 Guests attending the Food Allergy & Celiac Convention (FACCWDW) at Disney’s Coronado Springs Resort and Convention Center this fall can now take advantage of extra magical discounts and perks through FACCWDW’s official travel partner: Destinations in Florida. customizable for every FACCWDW guest.